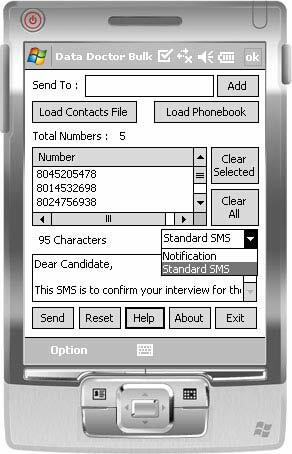 Pocket PC to Mobile Bulk SMS Software enables users to create and send unlimited text messages directly from Pocket PC, PDA or Smart phones to other mobile phone devices in few clicks. Professional sms messaging program capable to broadcast mass text messages to any national or international mobile phone network in easiest way. Utility is highly useful for businessperson who travels frequently and always feel need to stay in touch with clients, customers, employees or business partners. Message sending software is used to send all types of sms regarding share market, job alerts, news updates, budgets, warm greetings, business campaigns etc. Instant messaging tool send sms at any time. Easy-to-use utility facilitates instant communication with friends, family, relatives or colleagues and helps to send information to bulk audience instantly. Mobile messaging solution is compatible with all major windows based smart phones, pocket pc and pda mobile devices of well-known manufacturers like Hitachi, Asus, i-mate, T-mobile, E-ten, HP iPAQ, O2, Motorola, Nokia, Siemens, Palm Treo, Samsung and many more. Sends bulk SMS instantly from Pocket PC to other mobile phones. Messages can be sent without requiring internet connection. 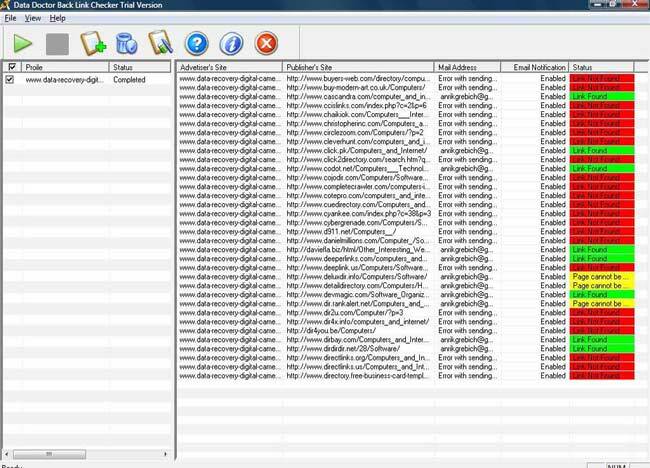 Facility to maintain contact lists containing unlimited contacts. Compatible with all major Windows based Pocket PC, PDA and Smart Phones. Time saving, cost effective and reliable text messaging tool. Friendly GUI interface helps to easily understand the software. Supported operating system Windows 7, Windows Vista, Windows XP, Windows Server 2008, Windows Server 2003 etc. FREE Trial Download free demo of software and easily analyze its overall functioning.